Outdoor guerrilla growing marijuana is gaining in popularity and becoming more common across many states within the USA, as well as other parts of the world that have prohibited the growing and use of cannabis. The United States, United Kingdom, Canada and many other ‘free’ countries prohibit the free, unrestricted use and cultivation of cannabis and marijuana, often forcing people to start growing marijuana inside their house, or, alternatively, outdoors, on their land, or, alternatively, turn to ‘guerrilla growing’ techniques to cultivate and produce their own cannabis buds, cola’s and edibles. 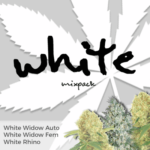 Across the United States of America, guerrilla growing has become extremely common due to the increased demand for high quality marijuana and cannabis continues to increase. Although many states have changed the laws, and decriminalized the use and possession of marijuana, growing and cultivation are a separate issue and are in many states strictly prohibited under both federal and state law. 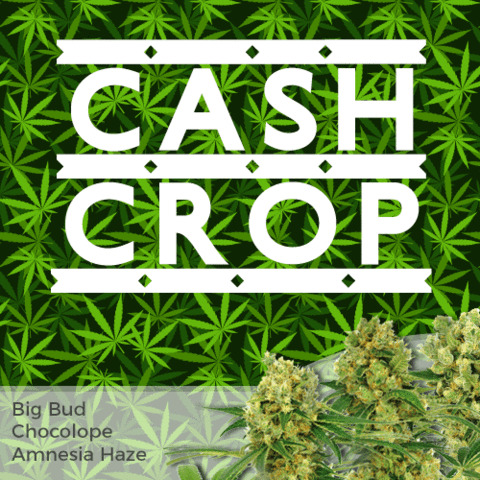 For a large number of marijuana growers, the rewards gained from guerrilla growing marijuana over the Spring and Summer months are too good an opportunity to ignore, generating a heavy harvest of buds and cola’s for either personal use, or for sale to trusted friends. While there is demand for something, you can guarantee someone is profiting from it’s supply, and illegal or permitted, a large number of people employ guerrilla growing methods and techniques to reduce the risks of getting found out, while still generating their own plants and high quality cannabis buds. For most people, guerrilla growing substantially reduces the chances of found possessing, or cultivating marijuana plants. While many areas of America allow the use of marijuana, many do not, and growing marijuana at home is very limited. Growing marijuana in the UK is against the law across all parts of the country, and even though there are not as many wide open spaces as there are in the USA, guerrilla growing techniques have been adopted there as well, often in some of the most ingenious places, including a disused nuclear bunker. 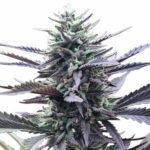 In the past guerrilla growing techniques have focused upon growing marijuana and cannabis seedlings outdoors away from your the home and growers land to reduce the risks. Many people do not realize that there are a wide selection of various techniques and methods which can be employed from the basic outdoor growing, through to renting commercial units and properties using false documentation. 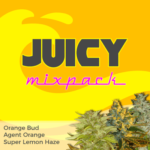 There are many methods and whichever you chose to adopt, the aim remains to produce the best quality marijuana without attracting attention and getting prosecuted. Planning is essential if you are undertaking a guerrilla growing operation, finding the right location is a vital part of producing a successful harvest. Before you begin your guerrilla growing operation, there are a number of points to consider, most noticeably the security of both yourself and your marijuana plants. You will need to guerrilla grow in an area that’s secluded and hard to get to, with little access either by foot or car, yet within walking distance as, and when needed. Selecting the right area can require you to go into secluded and remote areas, the more secluded and hard to get to the better. 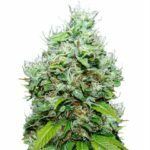 If you are planting one or two high quality cannabis and marijuana seeds which only requires a small clearing or space, however, bigger, commercial set-up’s will obviously require a larger and more conspicuous clearing. Outdoor grown marijuana plants need large amounts of water during their growing and early flowering phase, relying on nature for rain isn’t a method of watering for many, many others however will have to think about methods and means to give the plants the right amount of water for their needs. Carrying large containers of water to the guerrilla growing area could be tiring and difficult, and will often start arousing suspicion if you are watched. Some of the best guerrilla growing set-up’s are close to a stream, lake or water pool which you can use as a supply of water once you are there. Be careful and stay aware in some of isolated and remote areas as wild animals including lynx and wild cats, bears and sometimes moose may use it as their water hole and may decide you’re a danger and attack. Although guerrilla growing can also include some indoor methods and techniques, growing marijuana outdoors is more common-place, utilizing as much natural sunlight to create high quality marijuana and cannabis plants. Selecting the best location to begin a guerrilla growing operation requires balancing camouflaging and disguising needs, but still allowing the plant to receive as much direst sunlight as they can. When you are choosing a suitable location remember to check whether your plants will get the most direct sunshine especially over the afternoon, as the sun is strongest. Big open spaces might offer unshaded access to long hours of sunlight, but offer very little protection from Summer storms and the strong winds experienced across parts of the USA. A lot of sativa dominant marijuana seeds can become extremely large and tall, leaving themselves open to strong winds and harsh weather conditions. Large cola’s and dense buds can cause pressure on the main trunk or lateral branches, which may easily break off when subjected to powerful and strong winds. 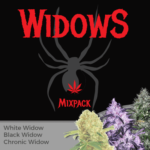 Much of the time the strongest winds come from an identical direction, and finding a good location that provides some natural defense against these winds might protect your marijuana plants and buds until harvest. Select a location away from public view and recreational areas, seldom walked or visited by people, or inhabited by animals. Water is heavy and carrying it to your guerrilla grow site would be tiresome and could arouse suspicion. Relying on rainfall could be costly, so select a location close to a good, clean water supply. Shaded areas may camouflage your plants, but they need sunlight to grow strong and healthy. The more direct sunshine they receive, the more vigorously they will grow. Strong winds can easily damage marijuana plants, breaking the stems and stalks, especially when they are heavy with bud. Sheltered areas offer some natural protection.